I spotted this “enhanced” Beetle Turbo last night. Note the juxtaposition of skull & crossbones and kitty cat bumper stickers. It also had a probably-not functional roof scoop, and studs added to the front grille. 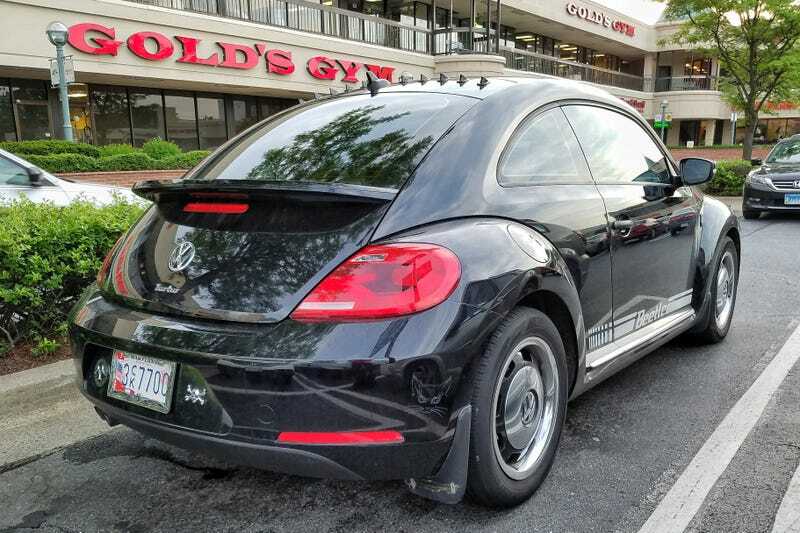 Oh, and we can’t forget the tribal tattoo license plate frames, headlight eyebrows, and whatever those shelf looking things below the Beetle decals on the doors are supposed to be.